Federal DOD Investigation Defense Attorneys - Oberheiden, P.C. An investigation by the Department of Defense (DOD) is a matter to be very seriously. If you believe that your or your business are being investigated by the DOD, you should take steps immediately to protect yourself, your business, and your professional license. What Is the U.S. Department of Defense? The Department of Defense (DOD) is the federal executive department in charge of the United States military and it is headquartered at the Pentagon. In addition to controlling military operations abroad, the DOD also handles issues related to current and former service members at home. In the context of the healthcare industry, DOD investigations most commonly address suspected healthcare fraud involving TRICARE beneficiaries. TRICARE is a healthcare policy run by the DOD for the benefit of active and retired military personnel as well as their dependents. If a health services provider or other participant in the health care industry is suspected of defrauding TRICARE, officials from the DOD will launch an investigation into that individual. These investigations are becoming increasingly frequent and often lead to serious civil or criminal consequences. 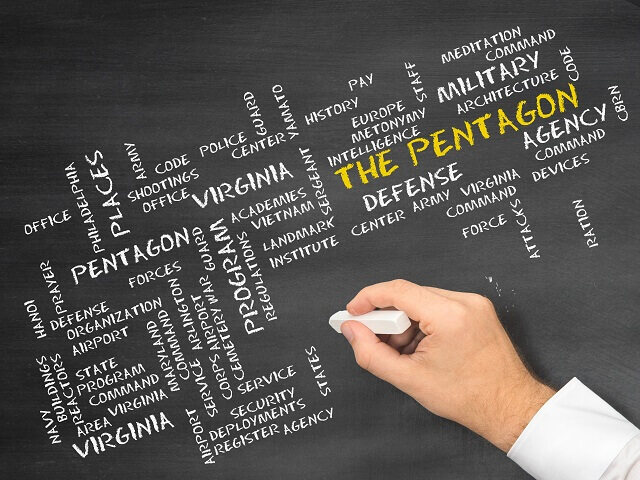 What You Can Do Today to Protect Yourself in a DOD Investigation? Targets of a Department of Defense investigation often first learn about the existence of an investigation when they are approached by investigators looking for an interview. It is never a good idea to speak to investigators without an attorney present, even if you believe you are innocent and even if the investigators tell you that you are not a target of the investigation. Investigators commonly misrepresent that they only wish to speak with an individual as a witness to the investigations into others, when in fact that person is the target of the investigation. Therefore, even if the Department of Defense investigators tell you that you are not under investigation, you should assume that you are the target of the investigation. Importantly, whether or not you are currently the target of the investigation, any time you speak with federal agents you risk incriminating yourself, either in the investigation or of an ancillary crime such as making a false statement to a federal agent (18 U.S.C. § 1001). If you are approached by DOD investigators, you should confirm your name and address, ask for a business card from every agent present, and then politely decline to speak with them further. If you are under investigation for TRICARE fraud, you will be doing yourself a favor by refraining from talking about your case to anyone other than your attorney. Anyone with information about your case, including your friends, family members, and colleagues, may be subpoenaed to testify about that information in court. Furthermore, government attorneys may subpoena communication records, such as phone records, emails, text messages, and voicemails, to use as evidence in court. Government attorneys may likewise subpoena records of social posts and communications to use as evidence against you. Therefore, any details about your case which you share publicly or privately may become evidence in the government’s case against you. Federal Experience. DOD investigations are conducted by federal investigators and proceed through federal court. Therefore, if you are under investigation by the DOD, you want an attorney who is familiar with federal court proceedings and local federal agents and prosecutors, as opposed to a DUI or petty crime defense attorney who primarily practices in state court. Industry Knowledge. If you are suspected of TRICARE fraud, you want an attorney well-versed in federal health care laws and familiar with the health care industry. You do not want to have to explain to your attorney what the Anti-Kickback Statute is; you want an attorney who knows what the exclusions are and understands how you or your business may or may not fall within them. Always Available. If you are under investigation by the DOD, you want an attorney that available to speak with you, even after business hours or on weekends. You want an attorney who will answer your questions instead of walling you off through secretaries or junior attorneys. Oberheiden, P.C. has represented clients in Department of Defense investigations across the country to include Texas, New York, New Jersey, Colorado, Mississippi, Louisiana, South Carolina, and Florida. Successful Defense of a Marketing Group Investigated by the Department of Defense and the Office of Inspector General for Tricare Fraud. Successful Defense of Laboratory against an Investigation by the Department of Defense and the U.S. Attorney’s Office for Alleged Tricare Fraud. Successful Defense of Laboratory against an Investigation by the Department of Health and Human Services and the Department of Defense for Alleged Tricare Fraud. Successful Defense of Physicians Investigated by the Department of Defense and the Office of Inspector General for Tricare Fraud. If you are facing a Department of Defense investigation or have been charged with TRICARE fraud, you should contact Oberheiden, P.C. today for a free and confidential consultation. Oberheiden, P.C. is comprised of former federal prosecutors and experienced health care defense attorneys who represent clients throughout the United States. Our attorneys are available seven days a week, even on weekends, to discuss how we may assist you with your case.